Charleston&apos;s Jack Rudy Cocktail Co., perhaps best known for their small batch tonic, is our go to for thoughtful, well designed bar supplies. 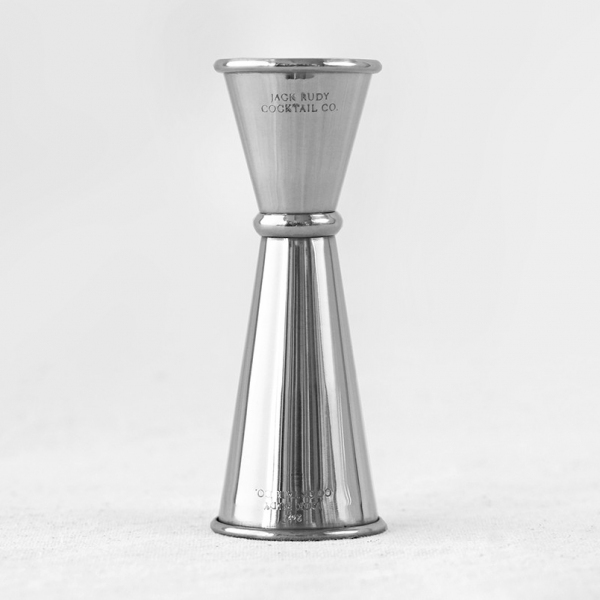 This custom double sided jigger is graduated on both sides for either a 3/4 oz. or 1 1/2 oz. pour.